Are you a Sufi fan based in the UK? Well, there is some great news for you! 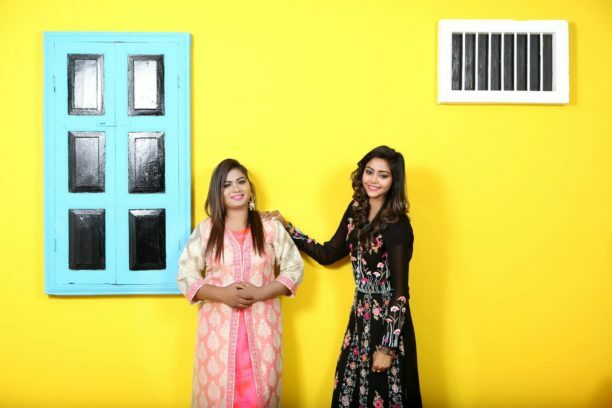 The most talented Sufi singers to come out of India in the last two years, Hashmat Sultana, are on their way to perform at The Canteen, Bristol on 26th of July and at iconic music festival, WOMAD, on 27th July and 29th July with a full live band. The concerts are being produced and managed by Asian Arts Agency. The sisters, Hashmat Sultana, sing Sufi style, heart stirring, passionate Punjabi songs. Their song Rang gained 15 million views in less than a year! The sisters embarked upon their journey into the limelight in 2016 when they took part in an Indian talent show, Sa Re Ga Ma Pa. Bollywood composers Pritam Chakroborty and Sajid-Wajid gave the sisters rave reviews for their beautiful and electrifying vocals on the show. As Sa Re Ga Ma Pa only takes an individual rather than a duo, they were given a special chance. They auditioned on the condition that both sisters prove their capabilities. If one sister were to make a mistake, they would both be disqualified from the contest. Needless to say, they made it through to compete. Although the sisters did not win the contest, their lives have never been the same again. Hashmat Sultana won the hearts of not only Bollywood judges, but of the nation. Don’t miss this chance to see the talented sisters perform in the UK. Please note, entry for The Canteen is free, however please do make a donation in the bucket!